SAO PAULO, Brazil, June 1 (AP)--West Germany and Austria have requested extradition from Brazil of a Nazi deathcamp officer who says he knew what was going on at the camp but "only obeyed orders." I knew what happened there but I never went to see - I only obeyed orders. You would not want to see what they did there either. This quote was repeated in reports of Wagner's death (Associated Press, 4th October, 1980) and on pp.313-14 of Richard Rashke’s “Escape To Sobibor”. Thomas Kues, posting as Laurentz Dahl, posted the Wagner quote as part of the Rashke extract here. Furthermore, Kues/Dahl quotes the Associated Press report in the NYT of 4.10.80 so must be familiar with the NYT archive on Wagner, which clarifies the meaning of Wagner's statements. But Kues claims in Sobibor, p.191, that Wagner "adamantly denied the existence of gas chambers at Sobibor". He bases this on an article in the newspaper Folha de São Paulo on 2.6.78, which quoted Wagner stating to the police: “I never saw any gas chamber at Sobibor” (Eu nunca vi nenhuma camara de gas em Sobibor). Dahl/Kues also cites this article from Der Spiegel in which Wagner claimed that "not a single Jew was killed, neither by him nor by others. His role in Sobibor was with the production of barracks." How honestly has Kues used these sources? Wagner...then committed one of his biggest mistakes. "Yes, yes, I remember you well. I had you taken out from the transport, and I have saved the lives of you and your two friends who were goldsmiths." "So," said Szmajzner, "and my sister, my mother, my father and my brothers?" If you say you saved my life, then you have indeed known that others had to die. " Wagner did not answer. Clearly this was an admission by Wagner of killing at Sobibor. São Paulo - Three Jews who were victims of the atrocities of the war criminal Gustav Franz Wagner in the nazi concentration camps of Treblinka and Sobibor, in Poland, the fingerprint files and other documents that should arrive today from Israel, will be the main testimonies to confirm if the man presented yesterday to DOPS in Sao Paulo isn't not the same either hunted by Simon Wiesenthal. Gustav Franz Wagner, 67, widower, two sons and two stepsons, builder of reinforced concrete piles at a farm in the city of Atibaia(interior of Sao Paulo State), presented himself yesterday at 15:00, to the delegate Silvio Pereira Machado, officially to clarify his situation and to confirm that is not the person convicted at Nuremberg for war crimes. "I never killed a single Jew, " he said yesterday at the headquarters of DOPS, with a sufferable portuguese, with a very heavy accent. 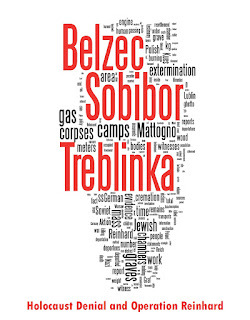 The deputy commander of Treblinka and Sobibor is accused of having participated, cruelly, the massacre of 1 million Jews. The DOPS director, delegate Romeu Tuma, must travel today to Brasilia to take cognizance about the existing documentation on the Nazi executioner Gustav Franz Wagner. This documentation, particularly the fingerprint files, is now considered essential to the definition of the man found in DOPS, "invited to testify" and not arrested, they should be delivered today at noon at the Federal Police Department, who will care legally for his extradition. The delegate Romeu Tuma said too that the lawyer hired by the Confederation of Israeli Societies of Sao Paulo, Mr. Idel Aronis, promised to present today three victims of Treblinka and Sobibor and they would be willing to recognize the executioner, in a confrontation. The lawyer explained that the names of three persons would be kept confidential for security reasons. The DOPS sent yesterday a group of investigators to the city of Atibaia to locate Gustav Franz Wagner on the farm that he works. But while the group went to Atibaia, according to what delegate Olido Gaia Costa told, adjunct of the Branch of political order, the holder of the branch, Silvio Pereira Machado, received a call from Ms Karin, owner of the place where Wagner works, through which he was informed that it was Wagner intention "to surrender to clarify everything. " It was scheduled a rendezvous at the corner of Barão de Jacegui and Jesuino Maciel streets, Campo Belo, in Sao Paulo. Wearing a gray sweater and with a suitcase in hand, the tall, blond, strong and gray austrian presented himself to the delegates Silvio Pereira Machado and Olido Gaia da Costa, saying that he was Gustav Franz Wagner. To the police he said became aware of a police search for him from newspapers and he was there to clear everything up. "He introduced himself and remained always in the most relaxed and carefree," said the holder of the Branch of Political Order. From Campo Belo, Wagner was taken directly to the headquarters of DOPS, in Largo General Osório, in Bairro da Luz district, in which was submitted to the department director, Mr Romeu Tuma, and then taken to be interviewed by the press. To the police, before the interview, he said little, but he acknowledged having been sublieutenant of the SS during the Third Reich and that he was born in Austria on the 18th of July 1911. He also said to be an expert in construction and therefore served as sublieutenant in the SS, in the construction of the Sobibor camp. But he denied ever having even known Treblinka. Confused, humble, with a limited vocabulary of portuguese, Gustav Franz Wagner could not explain to the journalists why he had joined the SS and he didn't answer a question of whether or not he was a member of the German National Socialist Party(Nazi Party), while serving in the SS. He said he joined the german Army in 1928 and he worked "in the construction of Sobibor" from 1943 to 1944. "I was building homes for soldiers and lodgings for jews" he said. And then, he acknowledged that he met Paul Stangl, commandant of the Treblinka and Sobibor camps, arrested in Brazil in 1967 and extradited to Germany, where he died in prison. Wagner: -- I don't know if there was another Gustav Franz Wagner at Sobibor - also he said. When a photo, published in the JOURNAL OF BRAZIL about a meeting of the Nazis in Itatiaia to commemorate the anniversary of Adolf Hitler, it was exposed to him, he said he didn't recognize that face. "I never saw this man in my life. Not at Sobibor, or anywhere else," he said coldly. Gustav Franz Wagner said he never asked for an exit visa from Brazil and told how he got here, "When I left Sobibor, I went to Italy. When the war ended I went back to Vienna. In Austria, I met with Paul Stangl and he said that I should leave that country. Well, I traveled with him to Syria, where I got a passport and I came to Brazil to live in Sao Paulo." Cops of the DOPS asserted that all your paperwork is in order and nothing is faked. Upon arriving in Brazil he said to be a technical in road construction and, as he acknowledged in DOPS, he changed his profession to "mechanical." He acknowledges that he lived at Rego Freitas street, in Vila Buarque district, Sao Paulo and he said that have been in Atibaia for 20 years, having formed a new family with another woman and he has been raising two children by her (she was a widow). Wagner said: - No Jews were killed at Sobibor. There were other orders --- Wagner said to the DOPS (of Sao Paulo) yesterday, shortly before contradicting himself by saying: "Stangl did not kill anyone. Those who killed the Jews came out and they executed the orders, without which we knew nothing of it." 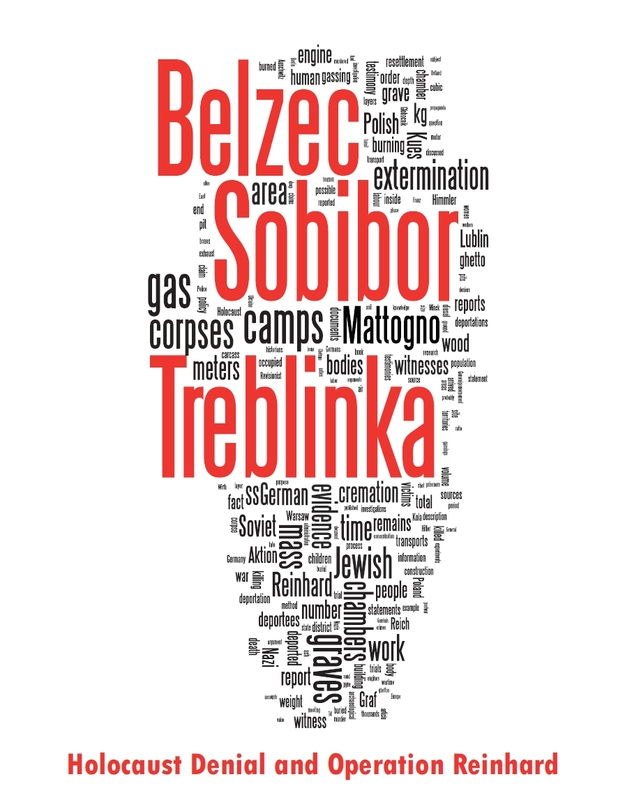 New contradiction: "there were no gas chambers in Sobibor." The man who got safe-conduct from Syria in 1950, cannot remember where he was from 1940 to 1943 in the beginning of World War II and he said that when he was at Sobibor, he was "much younger than this there" pointing the picture of JORNAL DO BRASIL in which Wiesenthal acknowledged the deputy commander of the Treblinka and Sobibor. 2) Wagner's admission of killing by others: "Those who killed the Jews came out and they executed the orders, without which we knew nothing of it." 3) "Gustav Franz Wagner could not explain to the journalists why he had joined the SS"
4) "The man who got safe-conduct from Syria in 1950, cannot remember where he was from 1940 to 1943 in the beginning of World War II and he said that when he was at Sobibor, he was "much younger than this there" pointing the picture of JORNAL DO BRASIL in which Wiesenthal acknowledged the deputy commander of the Treblinka and Sobibor." These features indicate that Wagner was lying about what he knew but also made admissions that killing did take place. Finally, Kues makes basic factual errors. As Roberto Lucena has pointed out, the extradition case was held in Brasilia, not Rio. The date that the extradition was denied was 20.6.79, not 22.6.79. But the crucial point again is that Kues has systematically misrepresented his sources and suppressed others. Here's the history about his capture(in portuguese). In short, the capture begins with the beat of this journalist(Mario Chimanovitch)of Jornal do Brasil(a Rio's newspaper). The Folha's report that Kues mentions is based on the same Wagner's interview to Jornal do Brasil(the text transcribed to the HC post). But Kues doesn't show the complete text for fear of being refuted. It is made clear in several articles that Wagner's suicide in 1980 followed several previous attempts. Kues never mentions these.